I have just received these lovely images from the pre-opening evening of Coba, Stockholm's new Mexican restaurant. 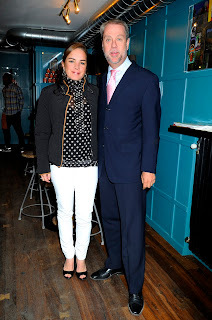 The first is a picture of His Excellency Mr Jorge Lomonaco Ambassador of Mexico with his wife Mrs Claudia Campbell. We were honoured that the Ambassador said words of welcome to declare the restaurant open. 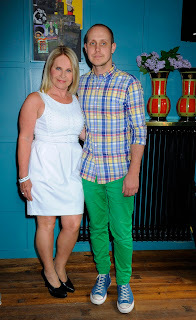 The other image is of my son Jonatan and me; he was remarkably calm despite the excitement of opening his own restaurant. The newsletter of Quintessentially Scandinavia also spreads the word about Jonatan’s Mexican restaurant. Quintessentially is a highly exclusive members-only concierge service that offers the ultimate in knowledge on where to dine around the world, and gives other assistance to members as part of its luxury lifestyle management service in 65 countries. 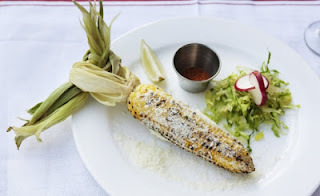 "During their many visits to Mexico and Los Angeles, they have collected inspiration and recipes for sophisticated Mexican cuisine, where close attention is paid to the produce and heritage of the Yucatan peninsula. With a stunning interior, designed by Alexander Lundfeld and Jim Grundström from Oscar & Clothilde, this exciting new establishment will be premiering at the beginning of June when the doors open in Birger Jarlsgatan 44." As one of the exciting developments at Select Collection, our valued clients can enjoy the perfect extension to luxury lifestyle: when on holiday they can use our concierge services at the destination in cooperation with Quintessentially. Note Coba opens on 5 June.